Argo Dwipangga train is an executive class train serving Jakarta (GMR)-Solo Balapan (SLO) route and vice versa and is operated by PT. Kereta Api Indonesia. 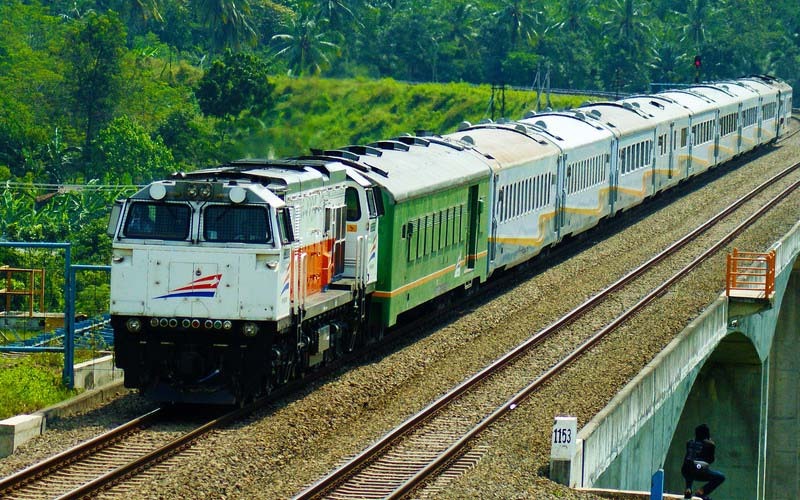 Argo Dwipangga train uses express train system with the train number of KA 9 and KA 10. One trip of this train is about 576 kms with about eight hours journey time from Gambir Station heading to Solo Balapan Station. During the trip, Argo Dwipangga will stop in some stations like Klaten, Yogyakarta, Purwokerto and Jatinegara (heading to Gambir). 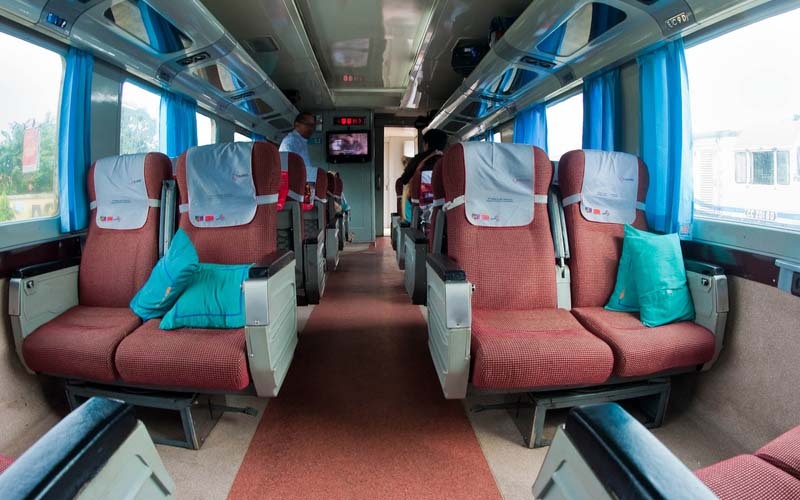 Argo Dwipangga train consists of seven to eight executive class retrofit carriage (K1) with a capacity of 350-400 passengers, a dining carriage designed in batik pattern (KM) and a power plant/generator carriage (MP). At first, this train was named as KA Dwipangga (Dwipangga train) which was inaugurated on April 21st 1998 by the Transportation Minister of Republic of Indonesia. But on October 5th 1998, the name was changed into KA Argo Dwipangga (Argo Dwipangga train) due to increasing number of customers requesting KA Argo (Argo train) which covers Jakarta-Solo route. The name Dwipangga is taken from an elephantâ€™s name which became the vehicle of God Indra in which the elephant is a faithful ride and able to protect the rider in various conditions.